You guys regularly ask me to try out more Cruelty free, natural skincare and makeup brands so I was pleased when Vee from VeeBeautyLdn contacted me to ask me to try out some of her products. 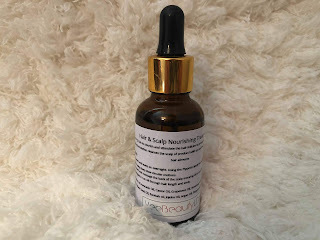 All VeeBeautyLdn products are cruelty free and contain 100% natural ingredients, all sourced within the UK. 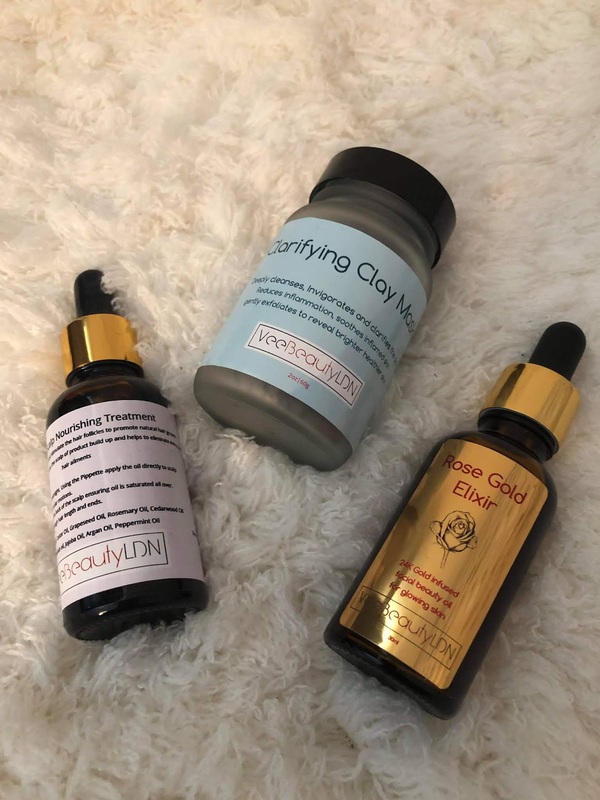 When Vee contacted me I was dubious whether I would actually be able to try the products myself because of my numerous allergies and sensitive skin. Most natural brands contain some kind of nuts especially coconut which I am severely allergic to. 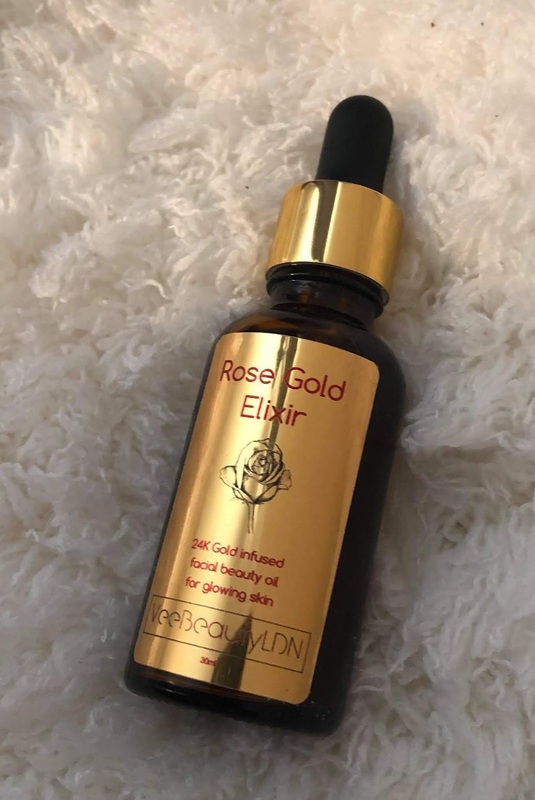 I browsed the website and was really pleased to see all products had a full ingredient list and although many did contain nuts of some kind there were three items that didn't, the Clay mask, Hair & Scalp Nourishing Oil and Rose gold elixir. 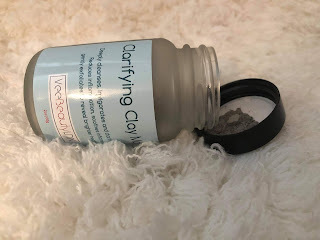 I was excited to use this mask because I am obsessed with the Loreal Clay mask, turns out I love this mask way more than the Loreal one as does my teenage daughter. Both of us hate the way the loreal one feels so tight on the skin when drying but the VeeBeautyLdn one doesn't do that. It still dries down properly and does a great job of unblocking pores and giving a good deep cleanse, just without that tight uncomfortable feeling. It also washes off really easy if you just place a hot face clothe over you face to let it melt then just wipe away. All other clay masks I have tried have required me to really rub at my skin to get it off which I hate doing because my skin is so sensitive. Its also not great for your skin to have to really scrub a product off so I am super pleased I found this mask. I don't have a lot to say about this product at the moment as I got it for my daughter who suffers with alopecia and she is still testing it out to see if it helps with hair growth. What I can say now is a small amount rubbed through the ends of your hair makes it look so shiny and healthy so will definitely be continuing to use this myself even if my daughter doesn't find it helpful. 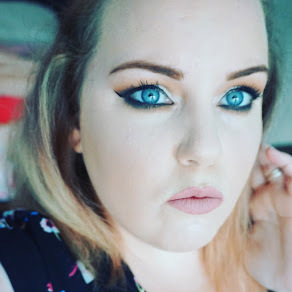 I've said it in a previous post but I am really loving discovering indie brands at the moment. 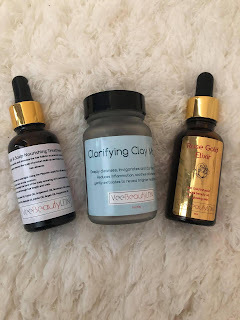 The quality of product and packaging from VeeBeautyLdn would cost a bomb from a highend brand so its a big thumbs up from me. If you give any products from VeebeautyLdn a go please let me know I'd love to hear your thoughts! Feel free to comment if you have any questions or any suggestions on Products to review.